Yes, I know the blog’s been a bit quiet lately. The studio has actually been quite busy with the Widcombe project and a couple of small freelance things, but mainly I’ve been preparing for a lot of commitments and events outside Bath in November. 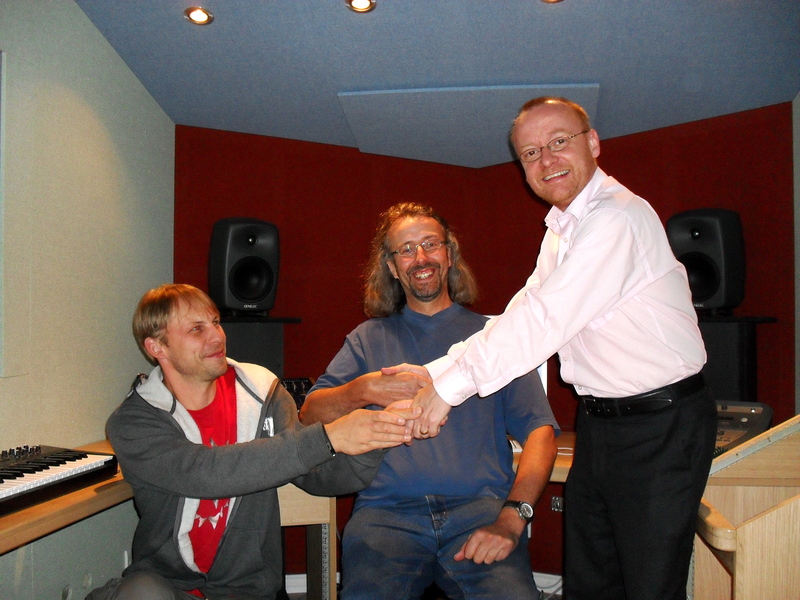 I’ve started the songwriting PhD (at Surrey) and had an initial meeting with my supervisor, Prof Allan Moore. The working title of the PhD is ‘investigating creative interactions in collaborative songwriting’ and I’ve been reading background materials for my initial literature review. I’ll probably post some more detail soon about the PhD for any interested songwriters or other musicians & academics – I’m hoping that the blog will be useful in this respect, because I want to (continue to) amass a comprehensive list of songwriting-related contacts, publications and interviews etc. So it’s always great to hear any recommendations that people may have for songwriting books or analyses – or, for that matter, any experienced collaborators who want to find out more about the study. 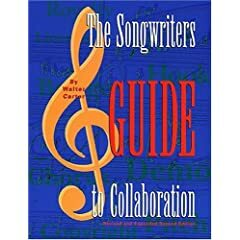 There seems to be only one book that deals specifically with collaborative songwriting – Walter Carter’s The Songwriter’s Guide To Collaboration. Not that the PhD is going to be exclusive academic – it will involve interviews with songwriters and a lot of actual co-writing (it combines musicology and composition). Part of the work involves investigating the psychology of creativity, in musicians and others, so it’s fortuitous that there’s a conference next week at Surrey about this very subject. And I’m gearing up for a week in Scotland at the end of November working on the Burnsong project. Burnsong is a Scottish (Arts Council) organisation that promotes songwriting – not the songs of Burns himself, but of the values and beliefs he expressed in his work. They run an international songwriting competition, and the ten winning songwriters spend a week writing and recording at a remote farmhouse in Dumfries. We’re then going to perform the songs at a one-off gig (on 30th Nov) at the Scottish Parliament building, which will be broadcast by BBC Radio Scotland. Apparently we’re setting up the whole band on the staircase pictured – I’m intrigued! 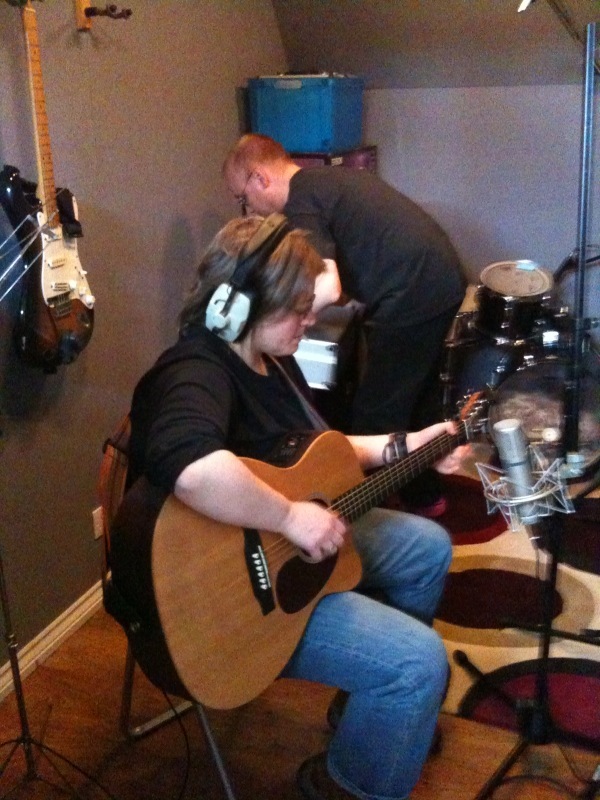 Producer Chris Blanden and I worked on the Burnsong project back in 2007 (the songwriting venue was the same, but the 2007 gig was at BBC Glasgow). For 2009, the whole Burnsong event promises to be larger in scale, due partly to the fact that 2009 is the 250th anniversary of Robert Burns’ birth. We’ve already heard the winning songs, and there’s some good stuff there, from traditional Scottish folk music to acoustic singer-songwriters, and (I kid you not) a plate-smashing song. I’m planning to blog the project every day anyway (as we did in 2007), and as before will try to get as many MP3s and lyrics online as possible; it’s possible that the project will generate 50+ songs (10 writers, 7 days) and Chris is pretty adept at producing good-quality acoustic demos from the first playback sessions. Until I meet these men I am unable to get into the studio. He got legs. He knows how to use them. Phase IV. 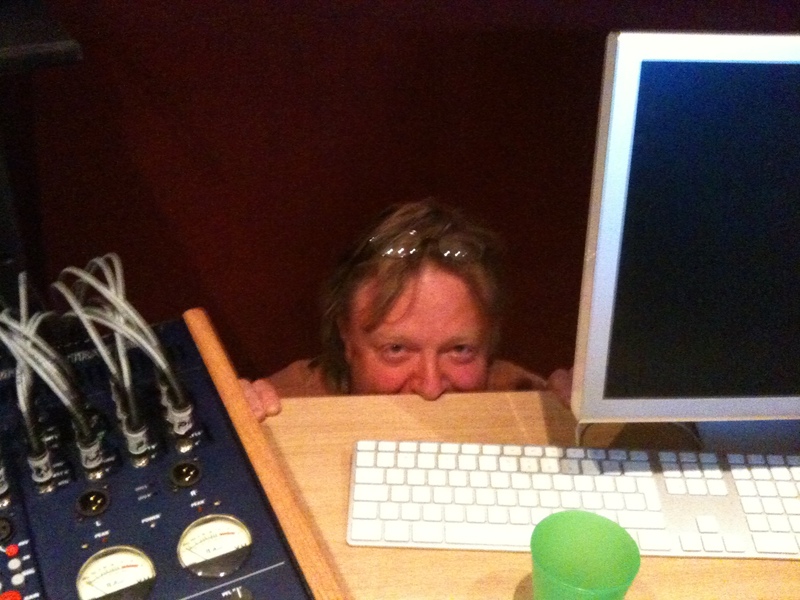 The Studio Wizard is here. 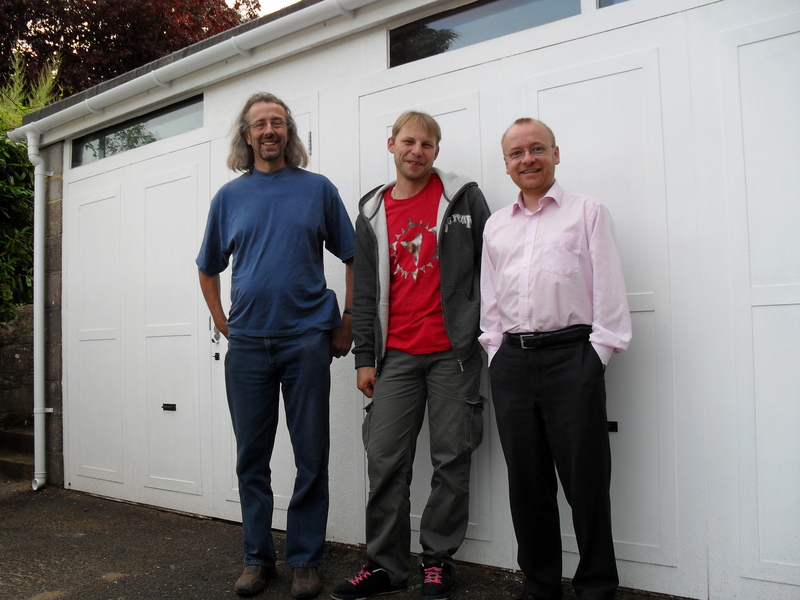 Howard is spending a couple of days living with us, doing the wiring and kit install. He has caught conjunctivitis from his pony (now there’s a sentence you don’t hear every day) so he’s in a lot of eye-drop-related discomfort, but is struggling manfully through. He’s also on a deadline (to retrieve the pony from the animal hospital) so is running on 4 hours’ sleep to get the job done in time. Hero! Here’s the full list of hardware. This is added to the Mac & Digi002 setup I already use, plus the mics I already own (SE Z5600, AKGC3000, Rode NT4). 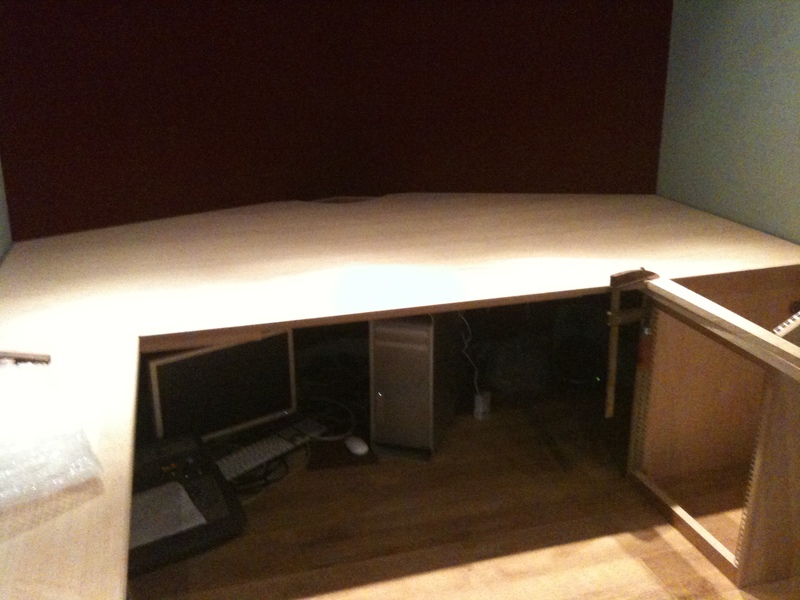 There was quite a bit of ‘cost engineering’ when we realised how far over budget we were originally. For the drums, I bought some decent Sonor shells (drummers, correct me if I’m wrong! 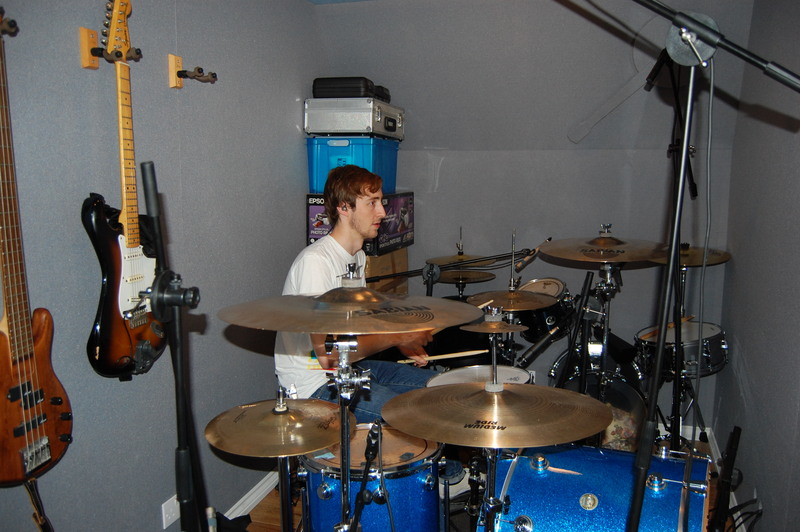 ), but decided to save on cymbals and get a budget set of Paistes. Drummers reading this – I do realise the importance of good quality hammered cymbals in terms of harmonic balance etc, but don’t actually play drums (although will now start to learn), and figure that if I hire a kit player for projects s/he will bring their own cymbals to a session. So cymbals will be upgraded to pro quality one day when I become a good enough drummer to justify it. This principle, BTW, I reckon applies to lots of music kit purchases – there’s no point in having gear that’s substantially better than you are. 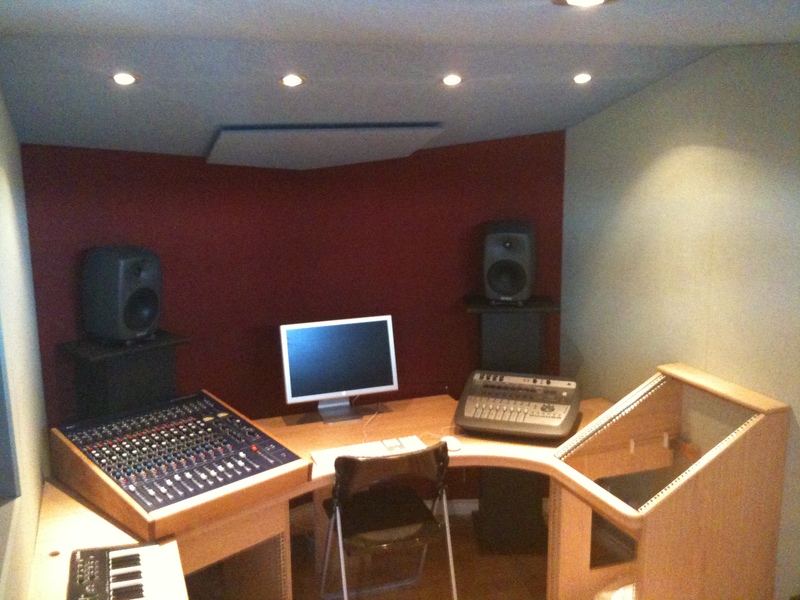 It’s why our MusicLab at the University is usually only used by third year students – it takes time for them to develop the quality songwriting and performance skills that mean the subtleties of room design make a difference to the quality of the track. A piece of music is as good as its weakest link, so there comes a cost point where you get diminishing musical returns if the kit outstrips your skill at using it. In my case, the weakest tool I have is my singing voice, which is why I prefer to work with proper singers. 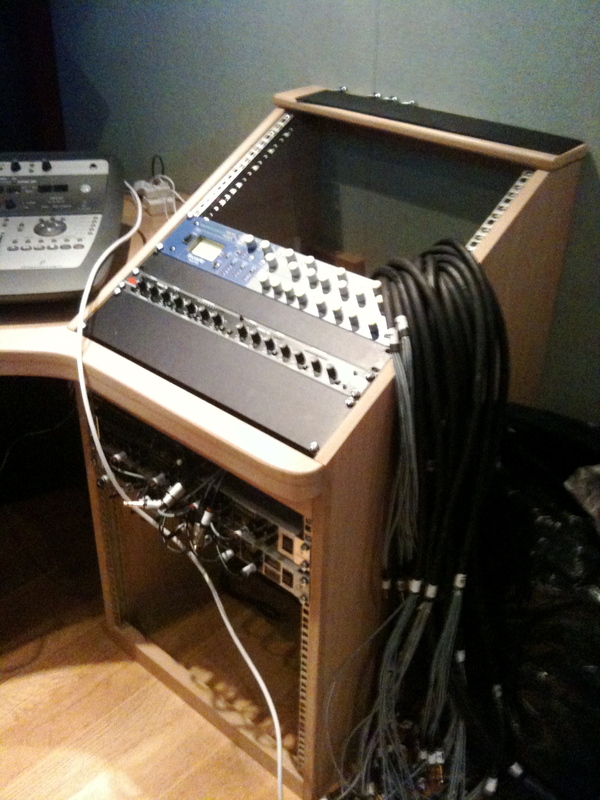 We’ve worked out how the rack will work ergonomically, with the things I’ll use the most (ISA220 and patchbays) in the top rack, and the things I use less often (DVD burner, headphone amp) in the lower one. 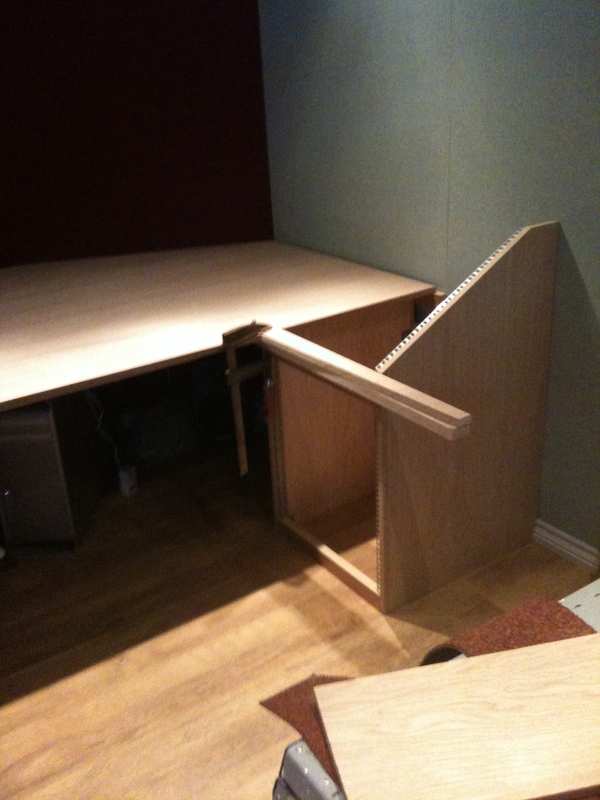 Howard’s pre-made all the looms, and has added a cable tray under the desktop, to which they are attached. 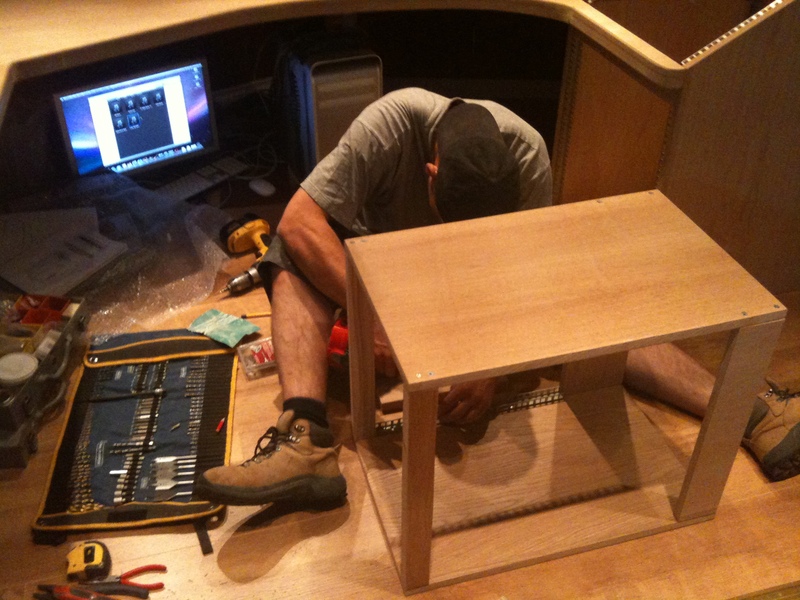 The only thing we didn’t account for is that the M1F (being a project studio desk) doesn’t have stereo insert sockets, so Howard has rewired the insert points to two jacks so we can get all the channel inserts coming up on the patchbay. 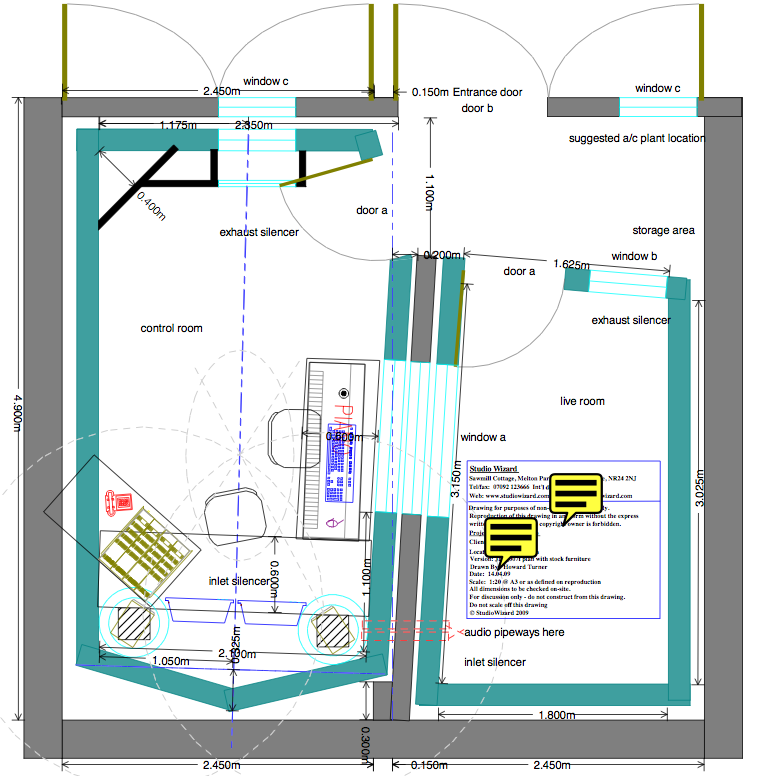 This is Howard's full patchbay layout plan. 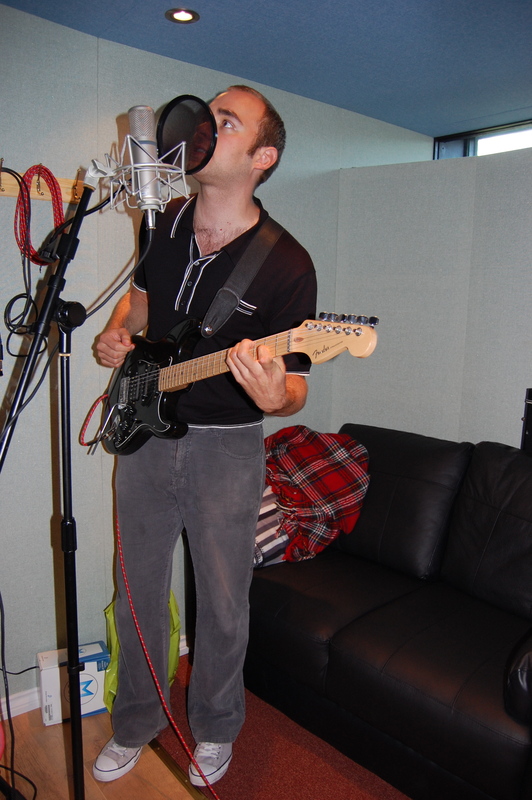 The only thing we won’t get done in this phase (before Howard’s next visit) is the tie lines through to the live room. This is not a problem because I can physically throw XLRs through the the hole in the wall for now. I’m also proud to say that after a quick refresher session with Howard on soldering skills, I’ve made up my first stereo lead – the first soldering I’ve done, in fact, since about 1987 (a difficult teenage phase where, for reasons now unclear, I decided to resolder my Strat so all the pickups were wired in series. I blame Adrian Legg). So everything pretty much works OK. We have 8 simultaneous input channels instead of 16 (the ADA8000, which supplies channels 9-16 to Logic via the Digi CoreAudio driver, still needs configuring so it acts correctly as a digital clock ‘slave’ over optical to the Digi002 – BTW if you’re reading this and have any tips on optical-syncing these items, get in touch!). But given that I’m only one person, I’m unable to generate more than 16 simultaneous musical sounds, so this can wait until I get bands or drummers in. 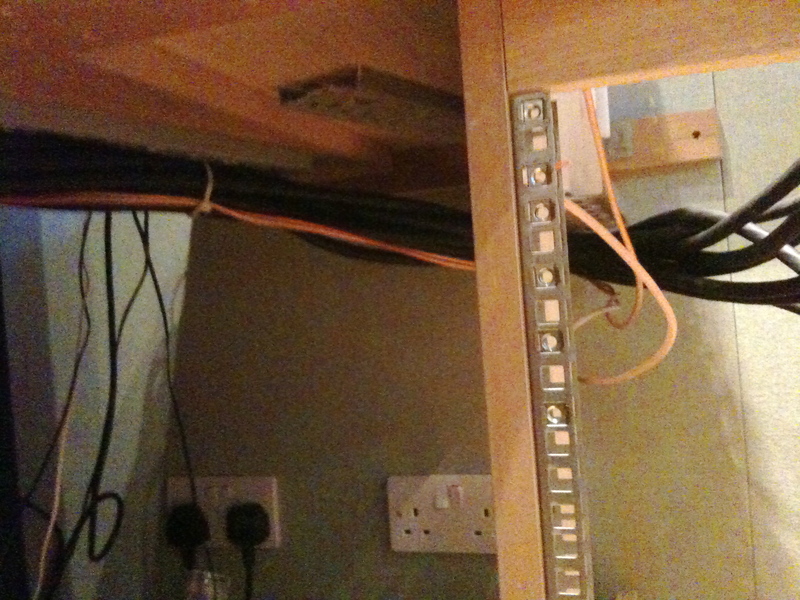 Cable trays carrying the looms under the desktop between M1F and patchbay. 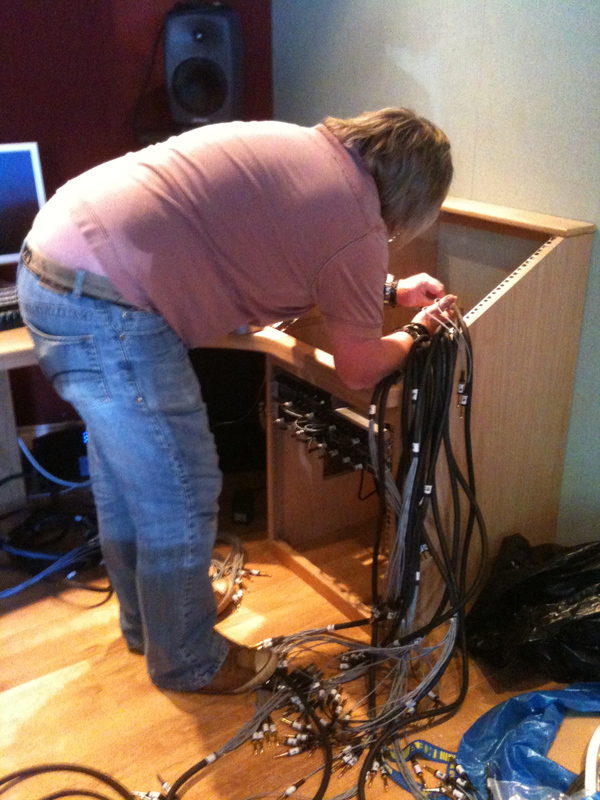 The looms go into the top patchbay. 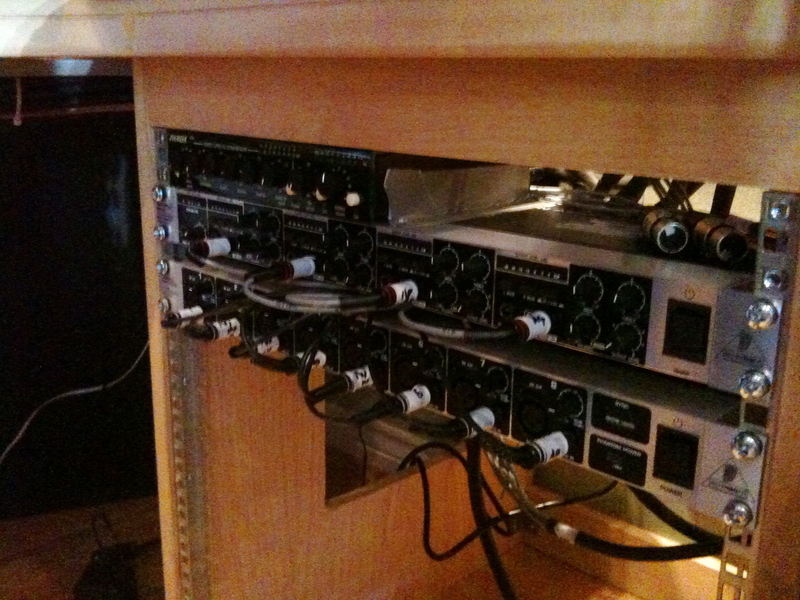 Top rack in progress – DBX compressor and ISA220. And that’s the end of phase IV. 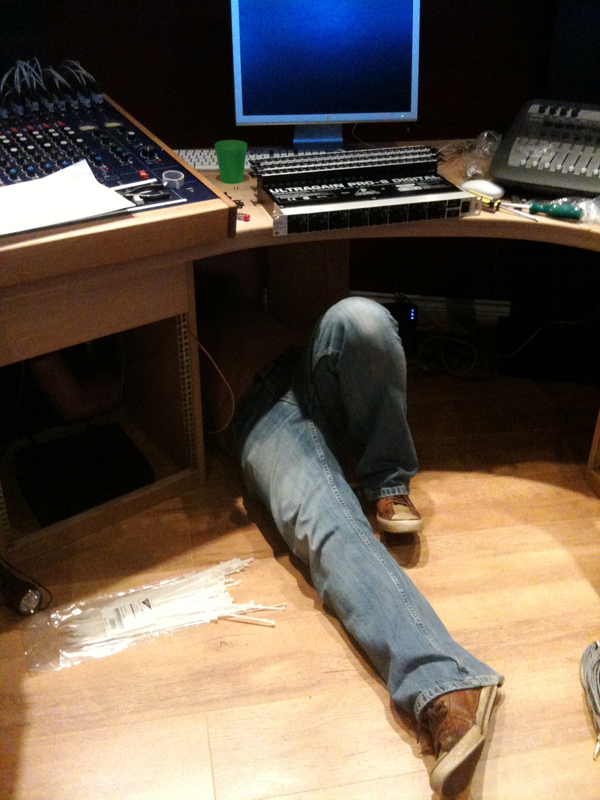 Howard will be back sometime in September to ‘sort out the room’ (spectrum analysis and speaker configuration etc), wire in the tie lines and XLR plates to the live room, and fix any wiring faults I find in the next few weeks. He’s now off to pick up a pony from a geezer in Norfolk. 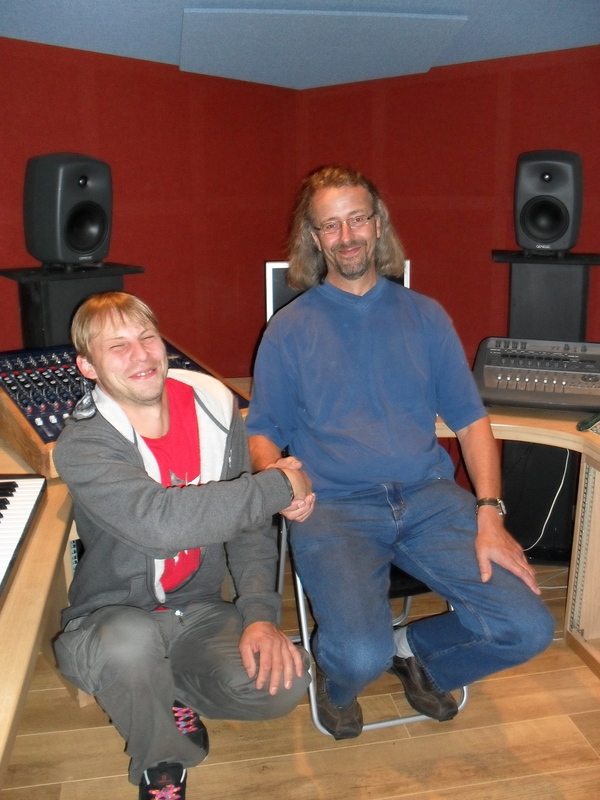 He’s done an amazing job (he also did the overall design of the whole building) and I’m really pleased with the intelligent decisions he’s made on my behalf about the patchbay layout – and studio usage in general. Coming soon – rugs, sofas and drums! 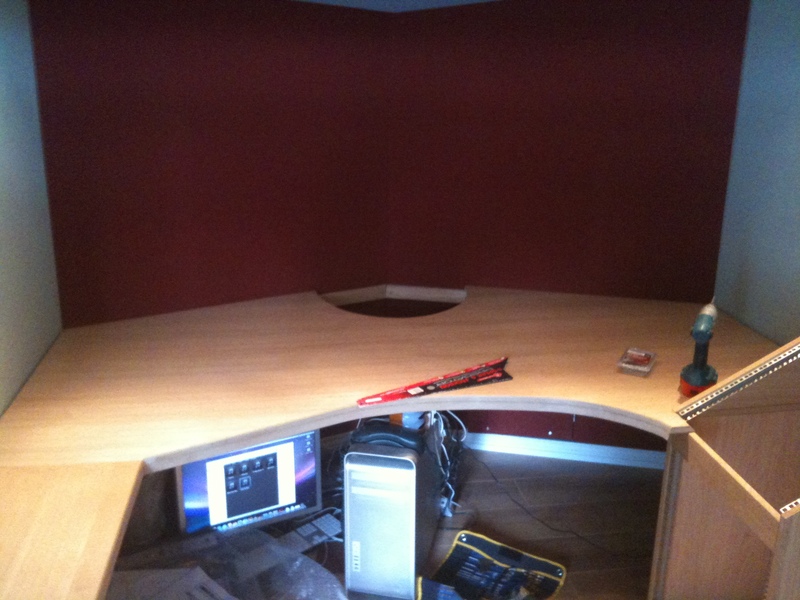 And here’s some kit placed in situ for discussion of cable runs etc.